Ionic is an HTML5 mobile app development framework targeted at building hybrid mobile apps. Its ECONOMIC AND EASY TO DEVELOP! Looking to develop MVP, POC or a prototype in Android and iOS? Fill up the form and get connected to our executive within 2 hours. Firebase provide cloud services like Realtime database, Web hosting, Authentication, Push Notification, Cloud functions, Test lab, etc. We can integrate firebase to use any of these services. Ionic gives privilege to integrate google map in our application. We can give several features in our application like location search, navigation, etc. It is a common feature in mobile application. 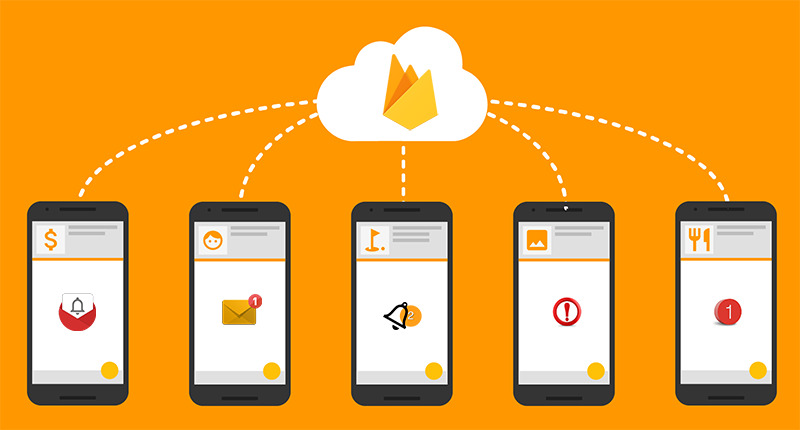 We can use FCM (Firebase Cloud Messaging) for in-app notification and remote push notifications for incoming messages. Ionic natives contains many plugins like Camera by which we can add feature with camera options. There are many more native plugins. Stripe is a one popular payment gateway worldwide. If we are developing E-Commerce application using Ionic then we can easily embed payment system to collect payments. This is also one very useful plugin given in Ionic Native section which enables user to add more security in their application. Why choose us as your IONIC development company? Our seasoned Ionic developers have the expertise to build secure, creative and highly-interactive web applications. Whether you are a startup or an SME, our experts will get the job done. We employ agile methodology to keep you in the loop. Our company is known to deliver quality Ionic development services that meet your business goals, timeline and budget. Our Ionic development company ensures complete project visibility right from the time you approach us with your needs. We use email, phone, Skype and other mediums for regular communication with you. We offer the most competitive rates on the market. Our personalized Ionic development services meet different budget needs of our clients from across the globe. Our designers, developers, quality analysts and a project manager – all strive for customer satisfaction. We deliver Ionic development services that align with our clients’ needs. The times have changed, in the early days of the hybrid cross platform technologies the functionality they could provide and handle were very limited and restricted. But in the recent years the creators have worked hard to match their performances and adaptability to the native coding languages for Android and IOS. IONIC 3 is one such framework that is giving the native coding languages a tough time.